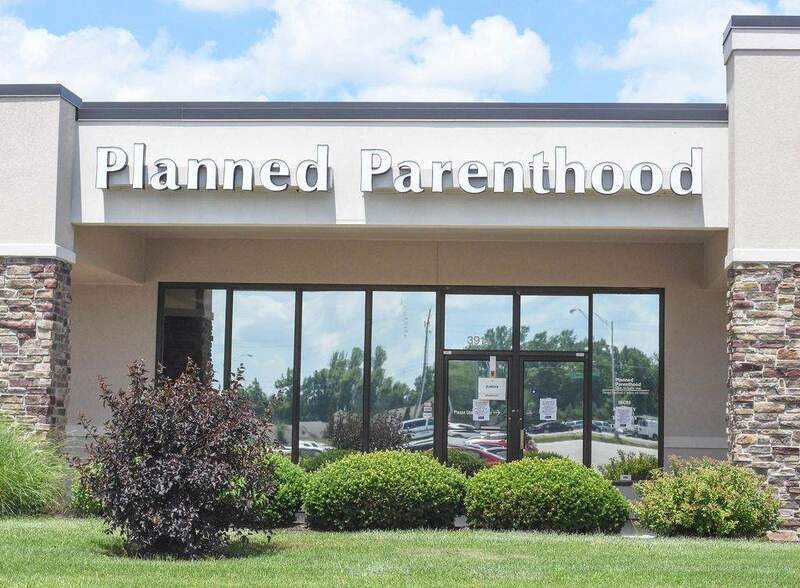 Michelle Davies | The Journal Gazette: Planned Parenthood is closing its health center on West Jefferson Boulevard effective today, the organization announced. Fort Wayne’s Planned Parenthood Health Center is closing effective today following several years of increased harassment and intimidation. “I’m pretty angry about this,” said Christie Gillespie, president and CEO of Planned Parenthood of Indiana and Kentucky. “This is not how decent and compassionate people behave. These are actions of harassment and intimidation that are done in the name of faith, religion and Jesus. The Fort Wayne location at 3914 W. Jefferson Blvd. does not perform any abortions, and has four employees. Gillespie said people in the community are losing a trusted health care provider that conducted tests for early diagnosis of cervical, testicular and breast cancer as well as providing birth control options and sexually transmitted disease testing. Gillespie said the tactics used by Allen County Right to Life and other area groups go far beyond protesting outside the facility. PPINK provided copies of a mailer sent to Fort Wayne neighborhoods where a Planned Parenthood nurse practitioner worked. It included her name and picture and said “there are killers among us." It said the woman enabled “child killing by coordinating abortions off site.” It also gave her home address. The group responsible for the mailers is Created Equal of Ohio, which also sent a letter to that employee saying it had "launched a campaign to expose the role you" play in enabling abortions. It specifically said the woman counsels women to get an abortion at larger Planned Parenthood facilities and said the campaign against her would stop if she quit her job. “We’ve had providers that have been told that their life would be unlivable in Fort Wayne if they worked for us,” Gillespie said. Cathie Humbarger of Allen County Right to Life posted on Facebook when a local commercial real estate company was hired by PPINK to help find a new Fort Wayne location. She urged people to call the company and ask why. “We don’t want our local realtors…helping Planned Parenthood," she said. Gillespie said that company dropped PPINK as a client three days later. In a statement today, Humbarger said: "We do not practice or condone intimidation. All activities that we sponsor are lawful." The statement said the group was "unaware that the local Planned Parenthood office is closing" but that the closing was considered "a victory for unborn boys and girls." Later, she and Mike Fichter, president and chief executive officer of Indiana Right to Life, issued a joint statement, saying the accusation of intimidation "Is simply untrue." The accusation "smacks of an attempt by Planned Parenthood to turn its business woes into a fundraiser," the statement says. "We are "pleased to see Indiana's largest abortion business, Planned Parenthood, is closing its doors in Fort Wayne. "We believe Planned Parenthood's closure is due to its dwindling customer base in Indiana and its unpopularity in the greater Fort Wayne community." The Fort Wayne Health Center has been on a month-to-month lease with its current landlord for about a year. The landlord wanted to find a tenant that wasn’t as controversial. She said Fort Wayne had 1,500 unduplicated patients last fiscal year, but that number was almost 3,000 two years ago. The numbers have dropped because of the harassment of staff and difficulty to recruit providers to work there. Gillespie said when the health center had appointments available they were booking about a month in advance. She acknowledged that public debate is fine, but said the tactics have gone too far and need to stop. Rosa Salter Rodriguez of The Journal Gazette contributed to this story.